This article is specific to Business Email. 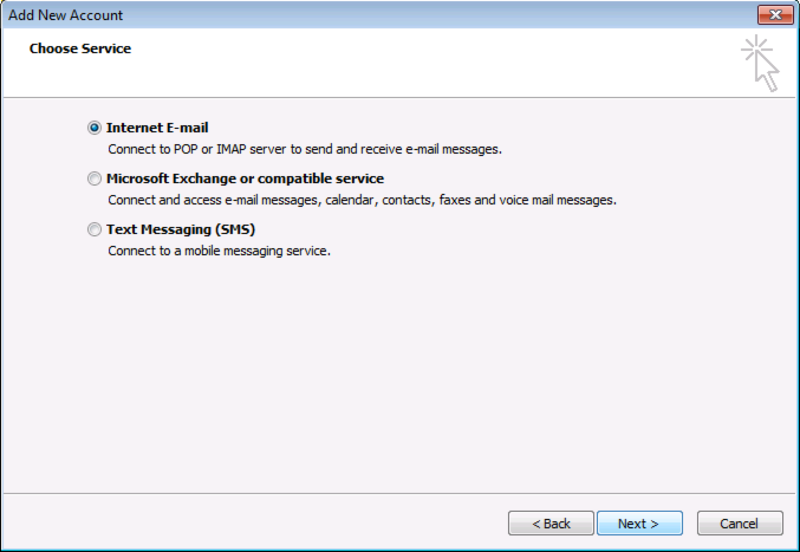 If you have a different type of email, please see Office 365 Outlook 2010 instructions, or Workspace email Outlook 2010 instructions. 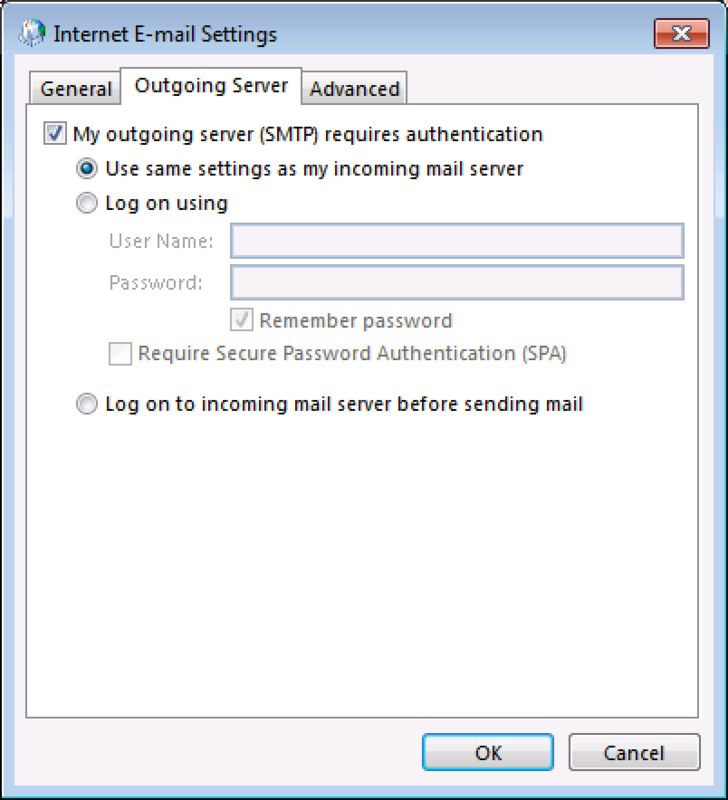 You can set up your Business Email in Microsoft® Outlook 2010. If this is the first time you've opened Outlook 2010, you'll see a welcome screen. 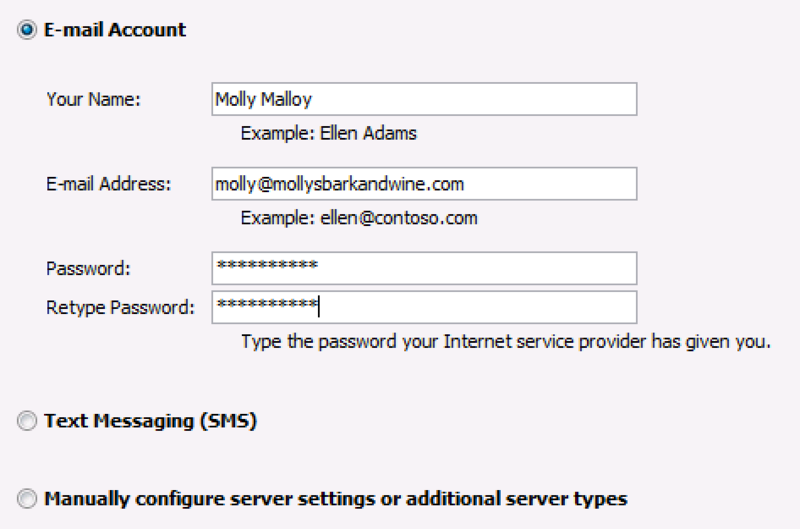 If you've already set up an email address Outlook 2010, you'll see the inbox screen. 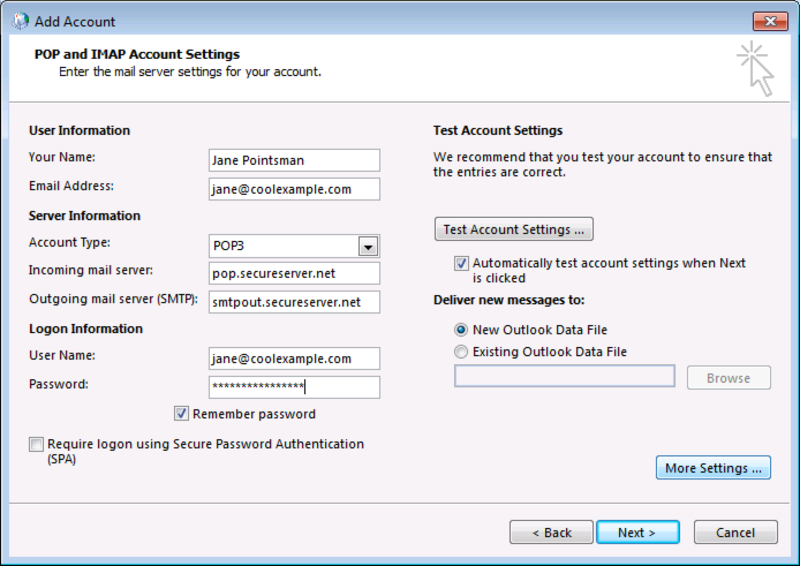 Outlook 2010 will test your settings. You may see a pop-up window asking if you want to Allow this website to configure... Select Don't ask me about this website again, and click Allow. When Outlook 2010 is finished setting up your account, it will say Congratulations! Click Finish. Note: As a troubleshooting step, select Log on using. Then enter your User Name, and Password. Use your full Business Email address as your User Name. 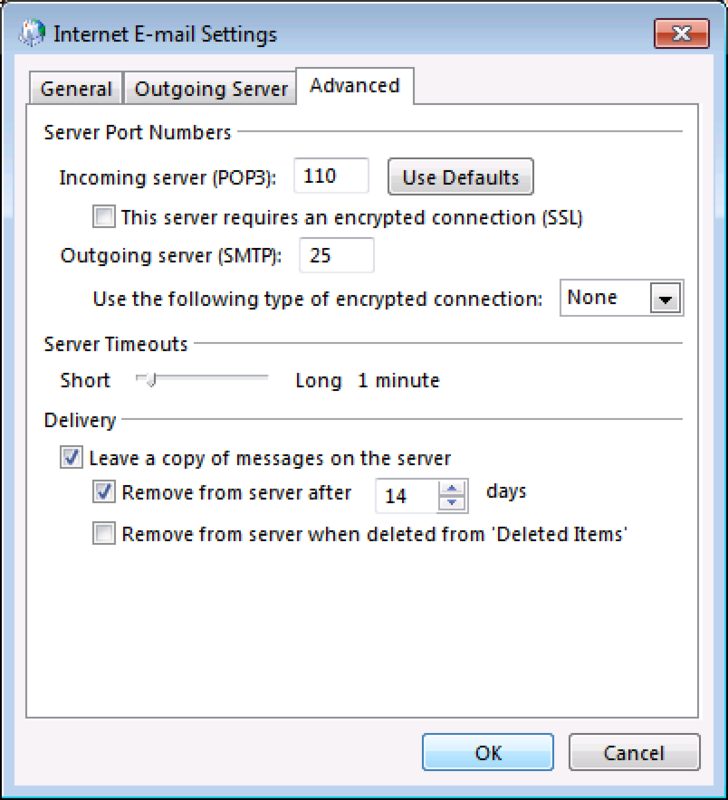 This server requires an encrypted connection (SSL) If you have entered an SSL port, select this option. Otherwise, deselect this option. Use the following type of encrypted connection If you have entered an SSL port, set this to SSL. Otherwise, set this to None. Leave a copy of messages on the server This option is up to you. Leaving a copy on the server will use up your email storage limit faster.